." This week&apos;s winner is "Cannery Row" submitted by teohwp85. Did you know that Cannery Row was once named "Ocean View Avenue?" Monterey city officials renamed the Monterey hot spot in 1958 after John Steinbeck&apos;s novel "Cannery Row." 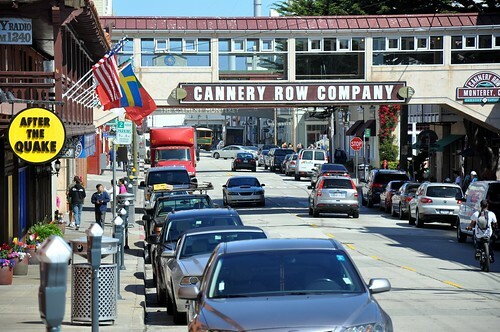 What is your favorite part about Cannery Row? Shops? Restaurants? The Monterey Bay Aquarium? Do you have an amazing shot of Monterey County that you think is worthy of "Flickr Photo of the Week?" Submit your photo to our Flickr Group and you just might get picked!